Things sure do change over time. Some for the better and some not. Do you remember when we used to use pagers? I thought they were the coolest thing...until your sister pages you with 911 in the middle of a movie at the movie theater just to borrow a shirt! Not cool! :) Well, I must say that braces have been one of those things that HAS changed for the better! Especially if you are using Invisalign! For me, I was one of those weird kids that was excited to get braces. I hated my teeth and when I found out I was actually getting them I was thrilled! Now when it came down to it though I didn't enjoy the actual process. Who loves to have a mouth full of metal? No chewing gum, no popcorn, nothing sticky at all. And forget about corn on the cob! Well, my husband and I both were *blessed* to have to endure braces and we pretty much are guaranteed to have to put all three of our princess in them as well. So when Invisalign told me about Invisalign Teen I was pretty excited! We have a few years yet till we will have to get them started but I'm glad to know there is an affordable more aesthetically pleasing option for braces now! 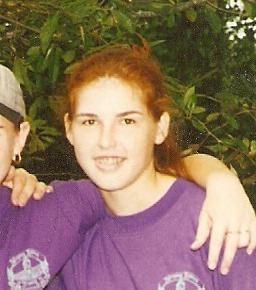 Check me out in my teenage metal mouth 'hotness'! Ha Ha! No longer do kids have to have braces that are bonded to their teeth like I did. They can take them out to eat any food they want! The cost is about the same as traditional braces, and the system usually requires fewer visits to the orthodontist. You don't have to worry about "emergency" visits for broken wires or brackets. I remember kids with metal wires and brackets getting hurt in sports because of their braces. No more with Invisalign! 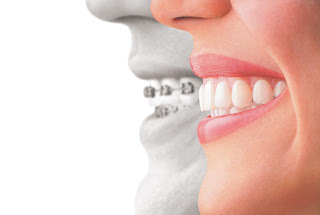 Even the process of getting braces is more streamlined! NOW, Invisalign's technology makes it easier than ever using a high tech camera the aligners are created digitally! So the orthodontist is able to receive precise 3D imagery through the use of an iTero wand to create a teeth straightening treatment plan with Invisalign. Hmm...I think I may need to think about Invisalign for myself...(since I was one of those kids who lost their retainer). treatment. 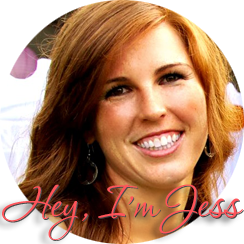 Visit the Invisalign website for more information about the clear alternative to braces." Check out Invisalign in all these great places! Hi there to every body, it's my first go to see of this blog; this blog contains awesome and in fact fine material in support of visitors. may anyone get that type of information in such an ideal way of writing? post or elaborating on many of the subjects you write concerning here. has a built in slider for much better flexibility and comfort. this take a large amount of work? I've no understanding of programming but I had been hoping to start my own blog in the near future. I know this is off topic but I just had to ask. Thank you! Working on a Green Thumb!